Ralph Lauren and the Richemont Group began collaborating in 2007 and have offered timepieces designed by Ralph Lauren and manufactured by the Richemont Group since 2008. For 2011, though, they have produced some of their most attractive timepieces yet. 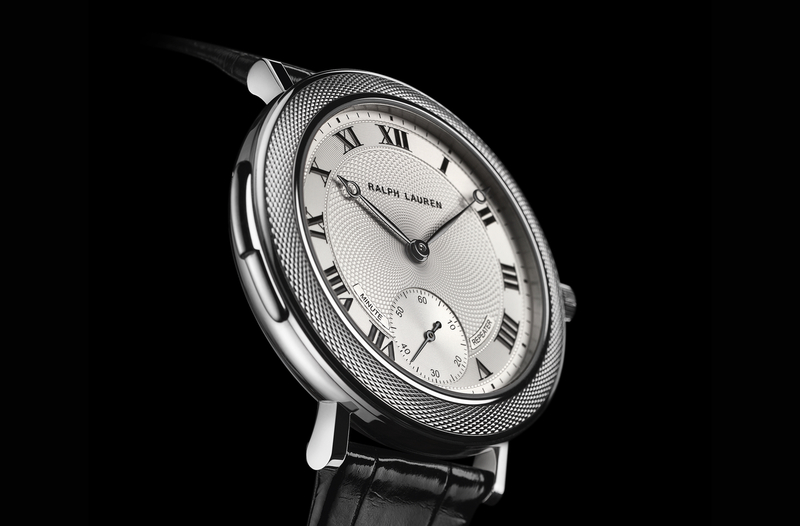 Three RL pieces, in particular, stood out for Ralph Lauren at SIHH 2011. The new vintage Bugatti inspired Ralph Lauren Sporting Watch and the two new Sporting Chronographs. The Sporting Chronographs are available in black ceramic (shown above), and a steel guilloche model. The new Ralph Lauren Sporting Chronograph in matte black ceramic is hard to resist. It is available in both 39 mm and 45 mm case sizes, with the 39 mm you get a very simple black and white dial, and with the 45 mm version, you get a black and white dial, with red central chronograph seconds hand. I personally prefer the 39 mm version, as it is a more classic size, plus the black and white color scheme looks more elegant than the slightly sportier three color scheme of its big brother. Powering these chronographs, is the RL750 caliber self-winding movement (designed by Jaeger-LeCoultre for RL). Jaeger-LeCoultre is a renowned watchmaker within the Richemont Group, so the use of one of their movements made in the Vallée de Joux is impressive. 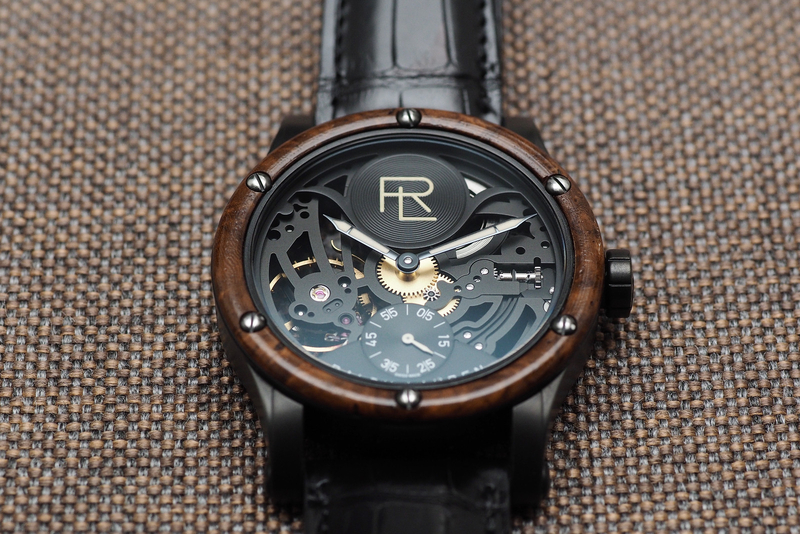 The movement is finished with perlage (circular graining) and Geneva Stripes and is signed with RL750 (all visible through the exhibition caseback). The exhibition caseback has a tinted sapphire and is secured to the back with 6 screws. Beating at 28,800 vph (4 Hz), the self-winding chronograph consists of 261 components and has a power-reserve of 48-hours. The central hand displays chronograph seconds, with a 30-minute counter at 3 o’clock and a 12-hour counter at 9 o’clock. At 6 o’clock is a date window and a small seconds subdial. The bezel is fixed, secured by six non-aligned screws (the clear caseback is secured by six screws as well). The sapphire crystal is convex (curved) and has a colorless internal and external anti-reflective treatment. The dial is black, with printed white roman numerals that fit the brand well (luminous white paint makes the numerals glow for nighttime viewing). The sword-shaped hour and minute hands also have white luminous paint. The outer chapter ring has a tachymeter scale for use with the chronograph to calculate speed. Traditional pushers and a locking crown, made of black matte ceramic (with RL signed on the crown), are located on the right flange of the case. The bracelet, like the case, is in black matte ceramic, with three rows of adjustable links. The hidden clasp is made of stainless steel (for durability) and coated with black matte PVD to match the case and bracelet. Water-resistance is 50 meters. 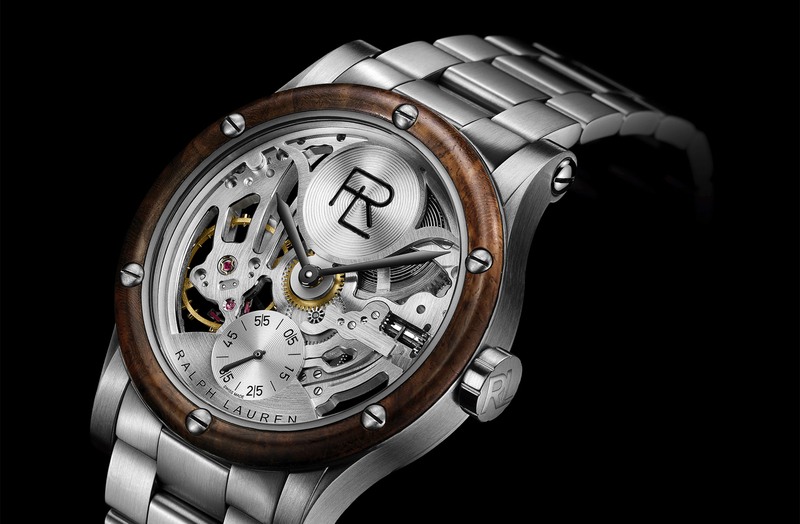 Ralph Lauren introduced a number of elegant and sporty timepieces for 2011, and with cool features like ceramic cases, guilloche-work, and Jaeger-LeCoultre movements – I think they are properly positioned to compete. Consumers who don’t want the standard Rolex, Breitling or Omega, but can afford this price range, should definitely take a look. The retail price is $5,500 for the 39mm model and $6,400 for the 45mm version.